This Loki Complete Cosplay Costume is the attire of the Norse God that is a perfect mixture of green and black. The costume is made up of a material blended with leather for style, wool for comfort and PVC for durability. 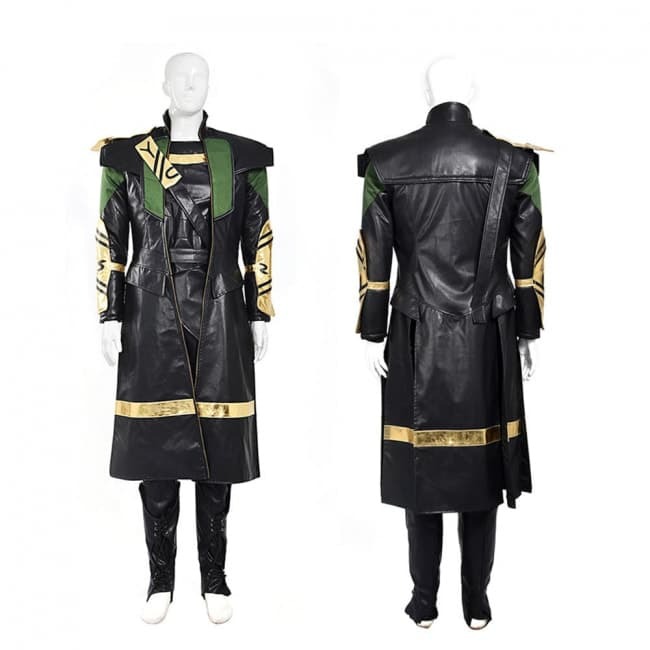 The Loki Thor costume includes a long coat, a black leather top, pants, oversleeves and gaiters.